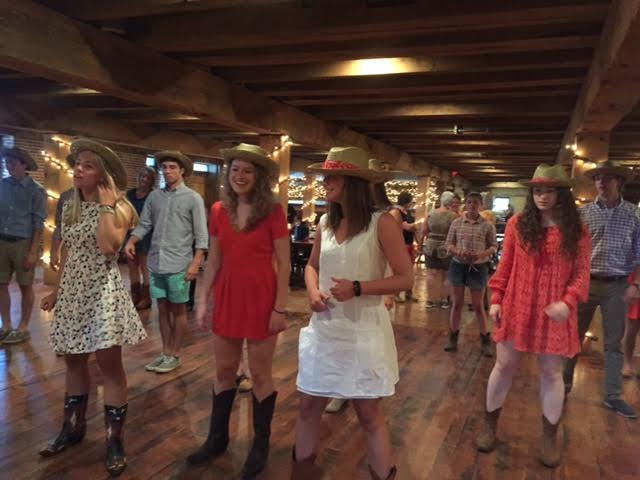 Interested in hosting a party during Line Dancing? 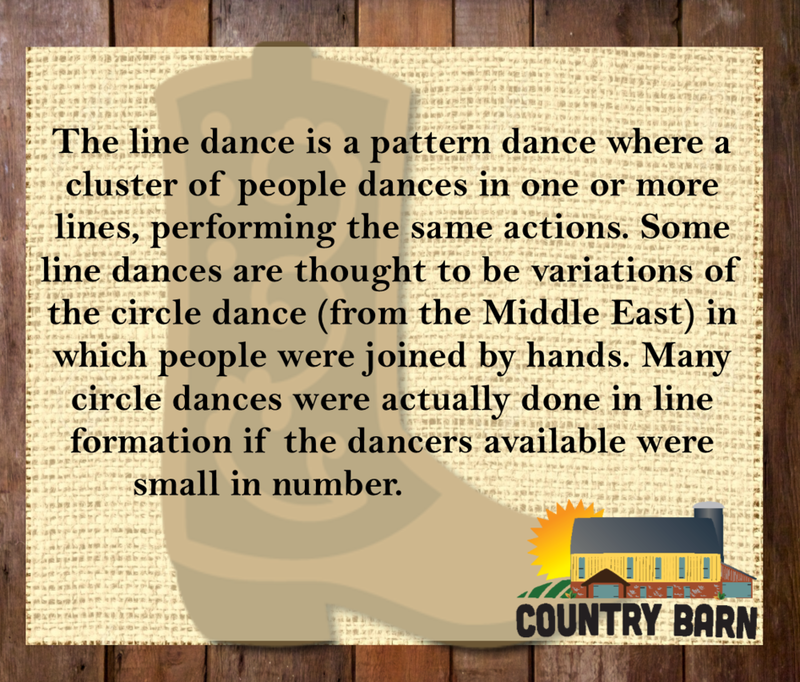 Parties during Line Dancing are a great way to celebrate a milestone or to spend time with family and friends! 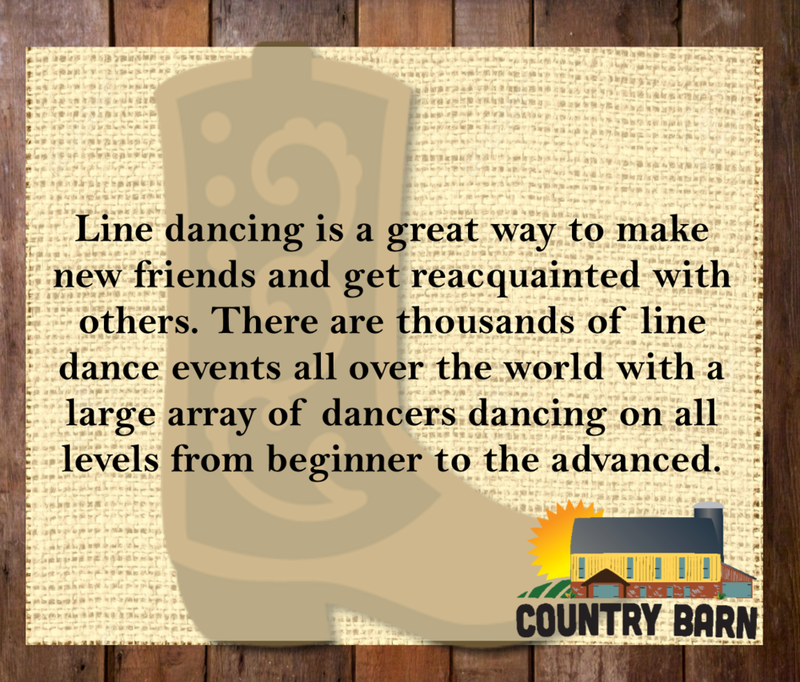 Line Dancing parties are semi-private with wonderful built-in entertainment; music, lessons and line dancing! 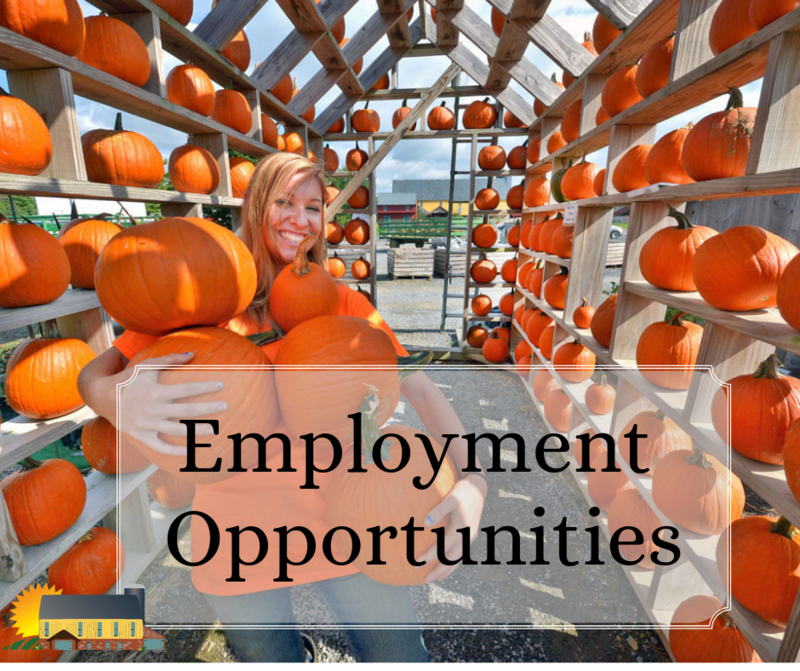 Country Barn Staff will provide a delicious Farm to Fork meal, tables, chairs, disposable dinnerware and a wonderful country atmosphere in our historic restored barn. It is a great country option for birthday parties, showers, bachelorette parties and gathering with friends! Email info@countrybarnmarket.com for more information. 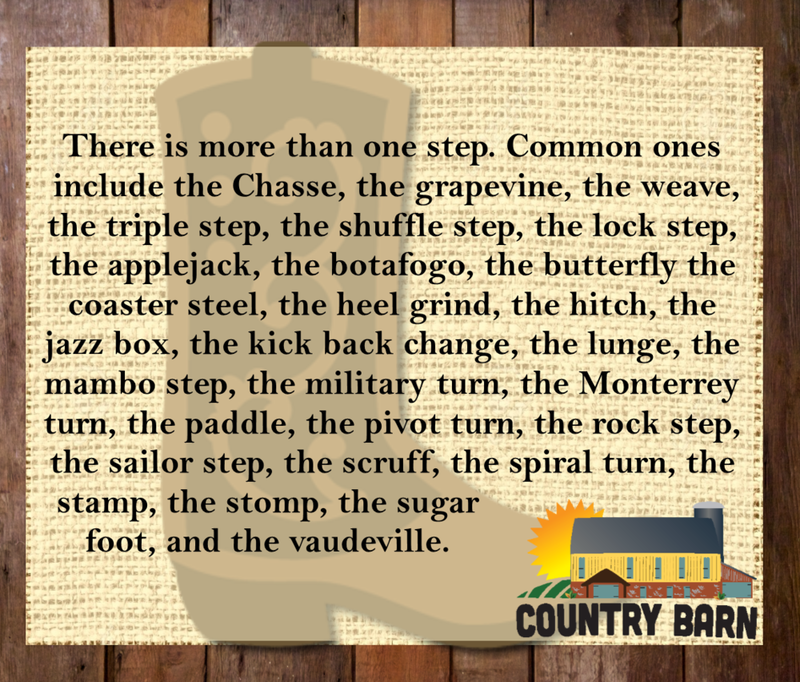 Come on out and join us for line dancing at the Country Barn. Stomp your feet, kick up your heels and have a blast on our beautiful hardwood dance floor! 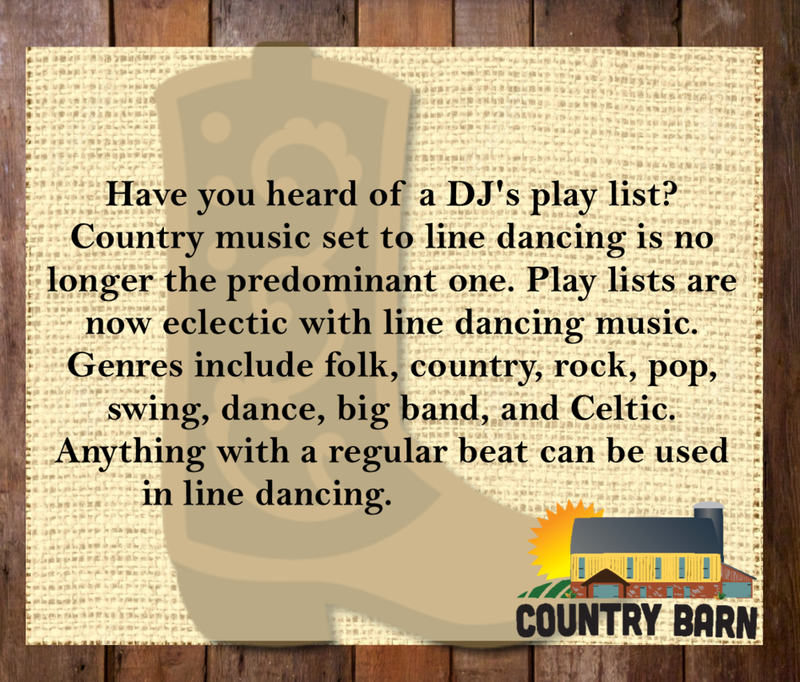 We offer line dancing for all ages on Tuesday and Friday night from 6:30pm – 10pm with live DJ’s. The first hour is dedicated to lessons with our qualified dance instructors. New to country line dancing? We’ve introduced our own country version of “First Fridays”, come out on the first Tuesday and Friday of the month to learn easy, beginner line dances. This is a non-smoking building. No alcohol permitted. Admission is $7 and includes lessons built into the first hour. Snacks and drinks available for sale. We hope to see you out on the dancefloor soon!